Still one autumn card, posted for the Stampinback card challenge, where the theme is autumn. Actually, all the leaves have fallen, and I'm starting to wish for snow! This is what it looks like now: the baby is from Stampinback, the wings from Rubber Dance. 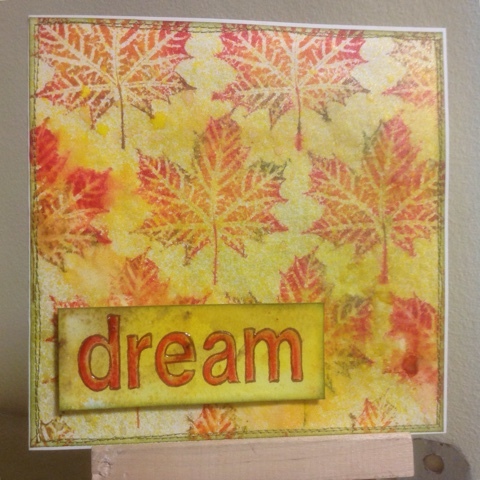 The leaves (from Rubber Dance) have been stamped with Distress inks. 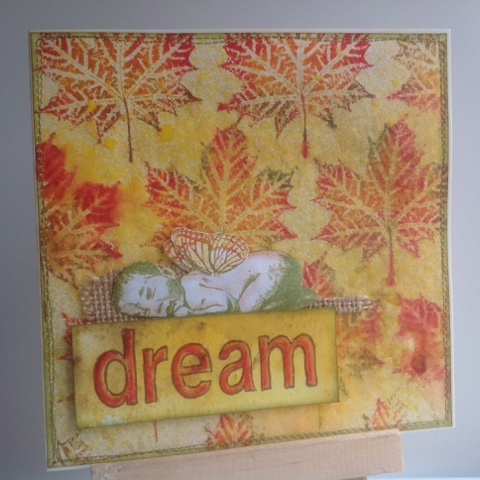 I sprayed over the images with a mild yellow spray (Tattered Angels) and dried fast with my heat tool. Love the way the colours spread a bit. 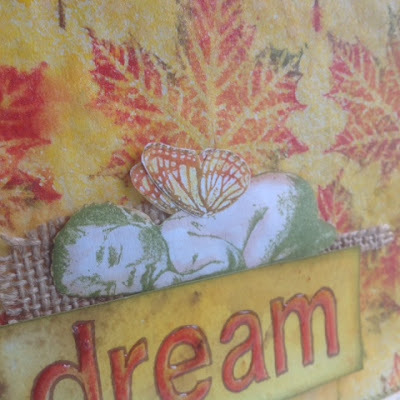 The sentiment has been stamped on a piece with yellow bister. I coloured the text with Inktense pencils and added Glossy Accents. The baby has been stamped with Fern Green Archival (for an elf- look) and coloured with Tattered Rose from the Distress range. I used Distress Markers and a spritz of water to stamp the wings. Thank you for joining us at the Stampinback Card Challenge with this beautiful card! !